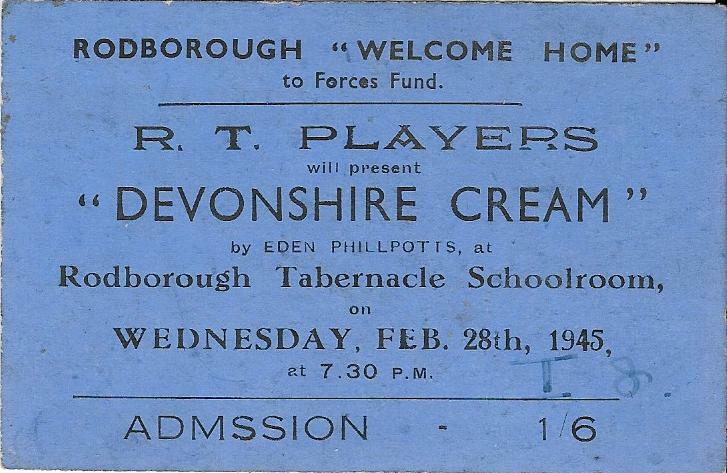 The R.T. Players were reformed in the 1970s by Rev. John McMinn & his wife Valerie, starting with nothing and with no scenery. 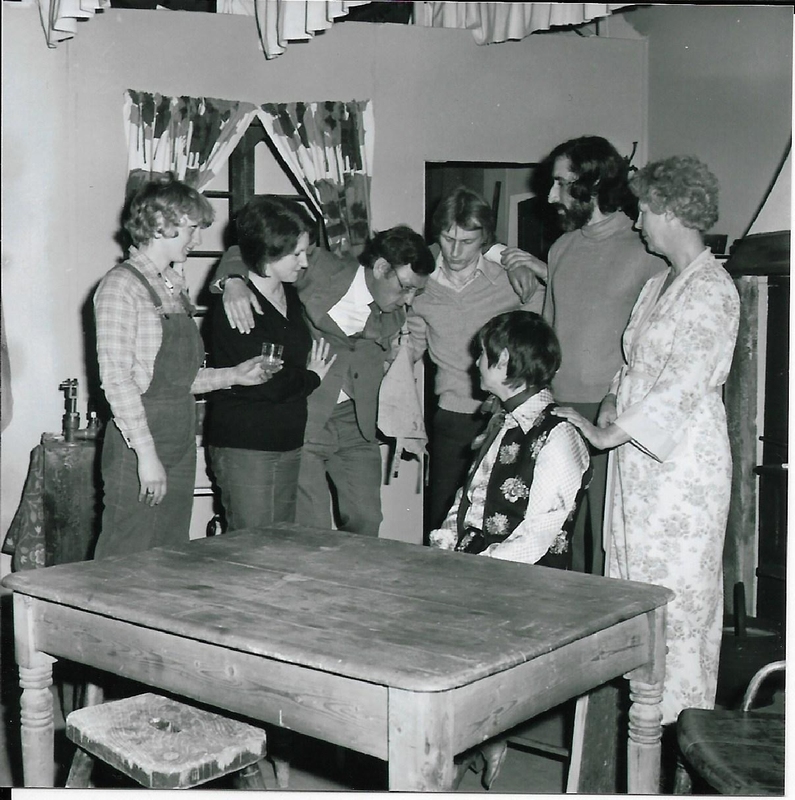 They performed two to three plays a year in the spring and autumn to very appreciative audiences. Most were comedies but Valerie also directed “Noah” using young children as the animals. They were fortunate to have Peggy Short and Nora Wilkins who were two of the original players started by Rev. Watson in the 1930s. 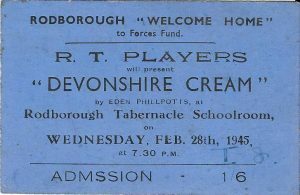 After John and Valerie left in 1983, the R.T. Players continued to perform until the early 1990s when it was decided to disband, but people still talk about the enjoyment they had at the Tabernacle. Copyright of the Gloucestershire Gazette. Undated. 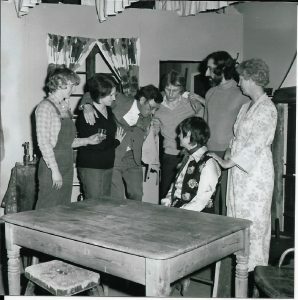 – RT Players in ‘Month of Sundays’ Left to right Mary Read, Shirley Mundy, Doug O’Brien, David Kilminster, Maggie Small (seated), Paul Saunders and Norah Wilkins. This is a long time ago, over 30 years, as you can tell. We had such fun and full houses of 80 to 90 in the Community Room. The Stage is where the kitchen now is.